Recycling is not only good for the environment, it’s also great for the Noah’s Ark Children’s Hospital Charity. 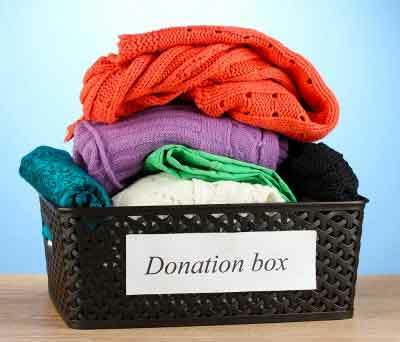 We can turn your unwanted clothes, shoes, accessories and blankets into cash. 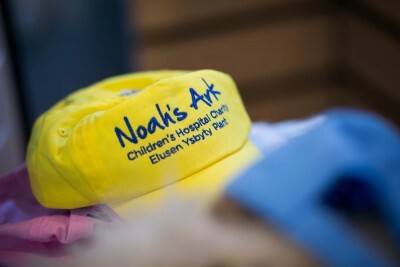 You’ll be helping us improve the Noah’s Ark Children’s Hospital for Wales and the best thing… it won’t cost you a penny! Who would think that an old pair of trousers helped us buy an MRI scanner? Well it did. Please think of us when you are throwing out your old clothes. If you live near a participating Tesco store you can help us turn your unwanted clothes and shoes into cash by dropping them off at any of the Noah’s Ark Children’s Hospital Charity branded clothes recycling bins. To convert sack loads of clothes into sack loads of cash all you need to do is ask all your friends, school, community group or colleagues to bring their unwanted clothes to one location and organised day at a specified time. We will help you arrange for a collector to pick them up on that day. Easy! Contact Us to find out how to organise a collection. Our shop at the Children’s Hospital for Wales sells all sorts of children’s clothes, toys, books & games. We rely on the kind donations of the general public. If you’re having a clear out and wondering what to do with all your stuff then drop it off at our office.